When you work with ViZn Energy, you get access not just to our resources, but also to those of our partner ecosystem. See below for a select list of our commercial partners that are changing the world. Our partners are core to our business and with them we are better able to support diverse channels and geographies, more effectively. Our goal with the ViZn Partner Program is to further build on the strategic relationships we have with our partners by providing them with resources and assistance to further their success. Our partners, and stakeholders, are the leading Energy Storage and Renewable Energy providers in the market and assist ViZn in our mission to bring more storage and savings, safely and reliably to all of our customers. In its state-of-the-art manufacturing facilities, Jabil is ViZn’s strategic manufacturing partner. Jabil is a global product solutions company providing comprehensive services to electronics and technology companies in a broad range of industries. Jabil helps customers turn ideas into products with its wide breadth of design, manufacturing and product management capabilities; allowing customers to think beyond their conventional marketplace and explore new opportunities. Jabil brings customer products to the market faster and more cost effectively by providing intelligent digital supply chain solutions around the world; empowering companies to be the change agents in their industries. Headquartered in St. Petersburg, Florida, Jabil has 90 facilities in 24 countries and 180,000 employees worldwide. To learn more see news story. Alpha Energy is a key partner for ViZn for Engineering, Procurement and Construction (EPC) services. Alpha was founded as an answer to unmet powering needs in utility, commercial and remote sectors, a logical and natural extension of the Alpha Group’s powering expertise. 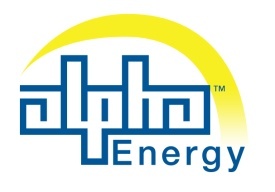 Alpha Energy fast became a market leading developer of turnkey renewable energy solutions, and is recognized as a global innovator in packaging hybrid energy technology, earning a reputation for unparalleled performance for Total Power Solutions. Schneider Electric is the global specialist in energy management and automation. They develop connected technologies and solutions to manage energy and process in ways that are safe, reliable, efficient and sustainable. Sturgeon Electric California, LLC (Sturgeon California) provides complete engineering, procurement, and construction (EPC) services through strategic alliances with leading engineering, materials management, and construction companies, offering turnkey construction capabilities. Sturgeon California’s leadership team has varied and extensive experience in all aspects of EPC projects ranging from major transmission line projects to wind farms and solar facilities. ViZn has teamed with Princeton Power Systems for their support and expertise with a fully integrated energy storage system such as the ZAC product Line. Princeton Power Systems designs and manufactures state-of-the-art technology solutions for energy management, microgrid operations and electric vehicle charging. They are a global leader working with customers and partners across North America, Europe, Africa and the Caribbean. Their UL and CE-certified power electronics are used in advanced battery operations and alternative energy, with built-in smart functions for ancillary services. Based in New Jersey, their products are manufactured in the USA. Read the News. ViZn has selected Black & Veatch as the partner to support bankability. Black & Veatch is an employee-owned, global leader in building critical human infrastructure in Energy, Water, Telecommunications and Government Services. Their revenues in 2014 were more than $3 billion. And since 1915, they have helped improve the lives of people in over 100 countries through consulting, engineering, construction, operations and program management. LFC Capital, Inc., with more than $1.5 billion of equipment leasing experience, has created a straightforward program that appeals to companies that cannot directly benefit from a federal tax credit, yet desire greater value from solar through system ownership than through a complex PPA energy cost reduction program. LFC Capital and ViZn have teamed up to make property owners’ acquisition of solar PV and energy storage affordable. Storage as a Service and Transactive Energy – OnDemand.Energy is an energy storage management firm which aggregates, manages, and optimizes energy storage and microgrid assets.